The Lost Colony hosted the National Conference on Outdoor Theatre October 16-18. 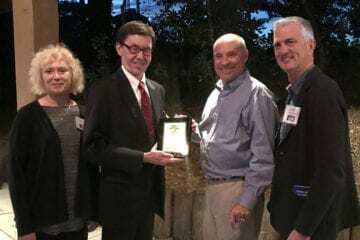 An evening reception was held by Roanoke Island Historical Association Board and the Scott Parker Award was presented to RIHA counsel, Robert Hobbs. This award is presented by the Southeastern Theatre Conference to an exceptional volunteer in the field of Outdoor Theatre and recognizes an individual for their extraordinary, dedicated and unpaid service to the organization. “In the non-profit world, especially Outdoor Theatre, having an attorney, counsel, an advocate that works tirelessly to support your mission and is passionate about that mission – it’s as good as gold,” said Roanoke Island Historical Association CEO Bill Coleman. “The Roanoke Island Historical Association, producers of The Lost Colony, have found that gold in our counsel, Robert Hobbs,” Coleman said. “Robert has been more than generous with his time, talent and treasure and more importantly, he is truly a pleasure to work with and to know”. 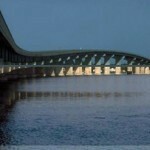 Robert Hobbs is a partner in the Nags Head office of the law firm of Hornthal, Riley, Ellis & Maland, LLP. Hobbs has served as General Counsel and member of the Board of Directors for the Roanoke Island Historical Association since 2008.